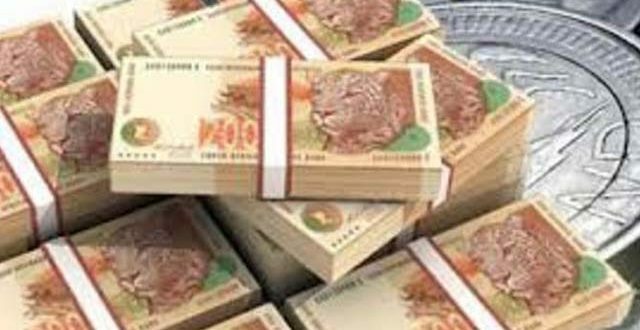 HARARE – With the current acute cash crisis worsening by the day, experts have made renewed calls for the country to adopt the South African rand as Zimbabwe’s anchor currency, to stem an impending economic implosion. This comes as Parliament has summoned under-pressure Reserve Bank of Zimbabwe (RBZ) governor John Mangudya and Tobacco Industry Marketing Board (TIMB) chief executiveW Andrew Matibiri to explain the payment chaos that is being experienced by farmers at the Harare auction floors. An economist with a local commercial bank, Joseph Mverecha, told the Daily News yesterday that the country urgently needed to adopt the rand as its anchor currency to save Zimbabwe from an economic disaster. “Unless we count on miracles, the only logical step to take now is to adopt the rand, while simultaneously addressing deep structural and macro imbalances, to get back our industry production to full capacity and increase exports and forex reserves … and thereafter introduce a graduated return of the local currency. 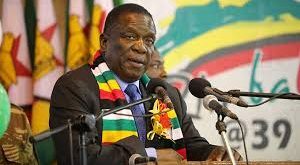 “Going forward, and if dollars continue to flow out of the formal system as is happening at present, we will have only two options left — either a full scale return to the Zimbabwean dollar or the much maligned rand. “An immediate return to the local currency is not sustainable. Significant long-term damage can be done to this economy through a hurried and injudicious return of the Zimbabwean dollar,” Mverecha said. Economics professor Ashok Chakravarti also said adopting the rand would help the dying local economy. “There are no economic issues in adopting the rand tomorrow as I have always said. All it needs is a simple law, a statutory instrument from government with an exchange rate re-denomination of all US dollar balances, salaries and prices. “The obvious currency of choice is the rand because of the strong trade link with South Africa. About 70 percent of our exports go to South Africa and 40 percent of imports come from South Africa. “The rand is an answer to many of our problems . . . The rand is also a non-convertible currency that will remain in the region and, therefore, cash will be maintained,” Chakravarti said. Economic analyst Vince Musewe also said it made “sense” to adopt the rand. “It has always made sense to have the currency of our biggest trading partner as the main currency . . . this would also minimise externalisation and also help with trade transactions between the two countries. “However, in my view, retailers and other service providers just need to also price their items in rands. After all, the currency is already legal tender in the country, so it is not like there are legality issues with doing this,” Musewe said. “Of course, the currency issues are indicators of deeper economic challenges like fiscal and monetary discord. “I also do not understand it when people keep stressing that the rand is volatile. Yes, it is . . . show me a currency that is not volatile. What is the point of having a stable currency that you do not have in the system? “It is simply an issue of choosing between two devils here, and the rand is the better devil. The RTGS system is already in Rands as well, so it is simply an issue of ensuring that everything is also priced in rands. “It will save Zimbabweans from United States dollar over-pricing. So, it will have a positive impact on the pricing regime and get rid of all these ridiculous mark-ups and margins we have seen in the economy,” Musewe added. CZI president Busisa Moyo is also on record pleading for the adoption of the rand. 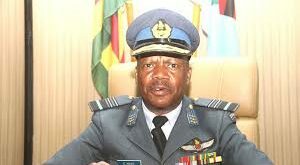 “We have been talking about randisation and individual members of CZI have come out strong on randisation, and I think we need to have some sort of action towards this,” Moyo has said. This comes as the National Assembly has summoned Mangudya and Matibiri to explain the payment chaos being witnessed at the tobacco auction floors, which were turned into a mini-war zone last week after police fought running battles with angry farmers who had staged a demonstration demanding their cash for their delivered crop. “Obviously, I am not happy with what is happening at the auction floors,” chairman of the parliamentary portfolio committee on land and agriculture, Christopher Chitindi, said. “After my investigations, I realised that there is still a shortage of cash at the banks, which is why there was that noise. When I checked with them (TSF) again, they assured me everything was now back to normal. 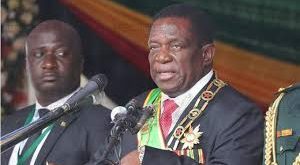 “But as a committee, we have resolved that we will call in Mangudya and Matibiri so that we get the full information why we are still having this problem yet they promised us that things will change,” he added. Tobacco farmers were earlier this year advised they would be permitted to withdraw cash of up to $1 000 from their first sale, and $50 for subsequent sales in light of ongoing cash shortages. However, many of them have not been able to withdraw those amounts, which has seen them sleeping out in the open on empty stomachs, as they wait to access their money. At the same time, analysts have warned in interviews with the Daily News that the snaking queues which have become a permanent feature at banks around the country signalled the fact that “panic” had set in among both ordinary Zimbabweans and businesses — amid understandable fears that the dying local economy is hurtling towards the debilitating lows of 2008. 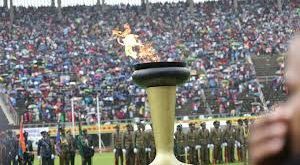 Economist Godfrey Kanyenze also warned long-suffering Zimbabweans earlier this week that all indications were that the current long cash queues would worsen as the watershed 2018 elections approached. The RBZ introduced bond notes at the end of last year to ease the severe cash shortages, but so far this has completely failed to satisfy the market’s cash needs.